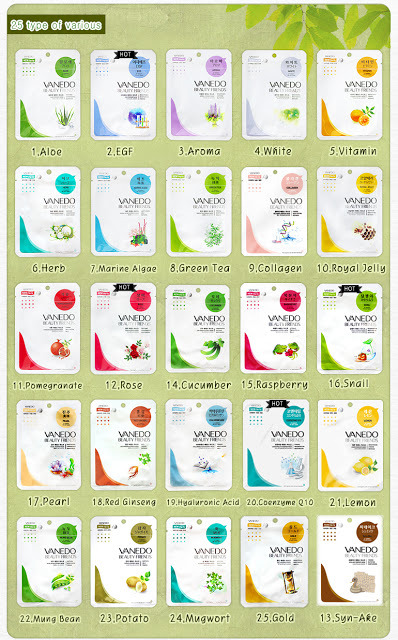 Masketeers recently brought in an awesome brand - Vanedo! Yes, they're a Korean cult mask brand that is very popular in Korea, so I was really excited to try them out! My personal favourites are the Snail essence one (moisturizing + firming + lifting), EGF essence one (moisturizing + brightening + firming) and SYN-NAKE (quick moisturizing) ones as they're verrrrryyy effective ingredients used in masks nowadays. I usually try them rather than normal fruity ones cos these are infact, more effective. Definitely gonna get more snail ones cos snail secretion actually softens and heals acne scars really well besides regenerating skin cells, yay! 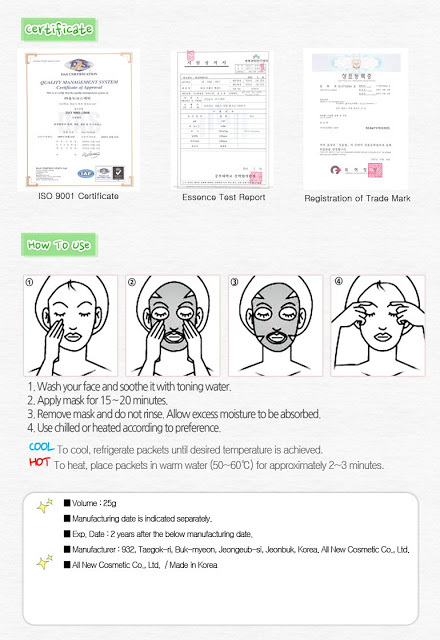 Some English information on the mask. Check out the whole range of different essences! So many different uses like moisturizing, acne calming/healing, tightening/ firming, anti-ageing, whitening, etc and can be used by all age groups and genders! The best part is, its just $1 each mask!!!!! *1 piece for $1.20, 5 pieces and above = $1 each! So do grab them before they're all snapped up! 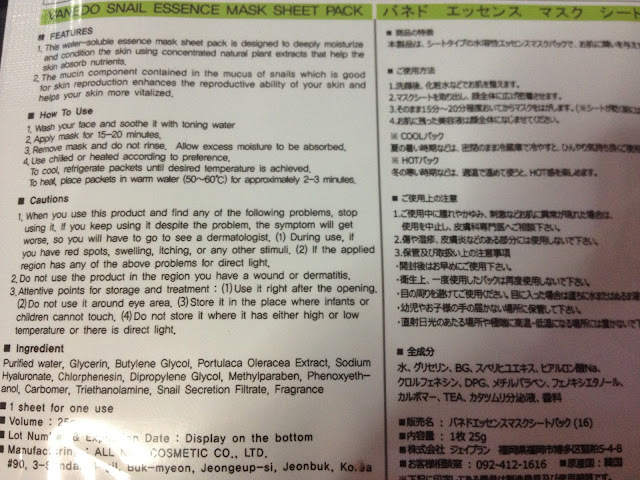 At just $1 each, I would totally jump at the chance and get myself my fave snail secretion masks :D Do check out their website for more info of the masks and also like their Facebook page to receive firsthand news and updates!